Presence Health is adding its name to the list of health systems outsourcing their revenue-cycle management functions. The Chicago-based system announced Friday it plans to enlist revenue-cycle management company R1 RCM, a company with financial ties to Ascension, a system that has signed a definitive agreement to acquire Presence. 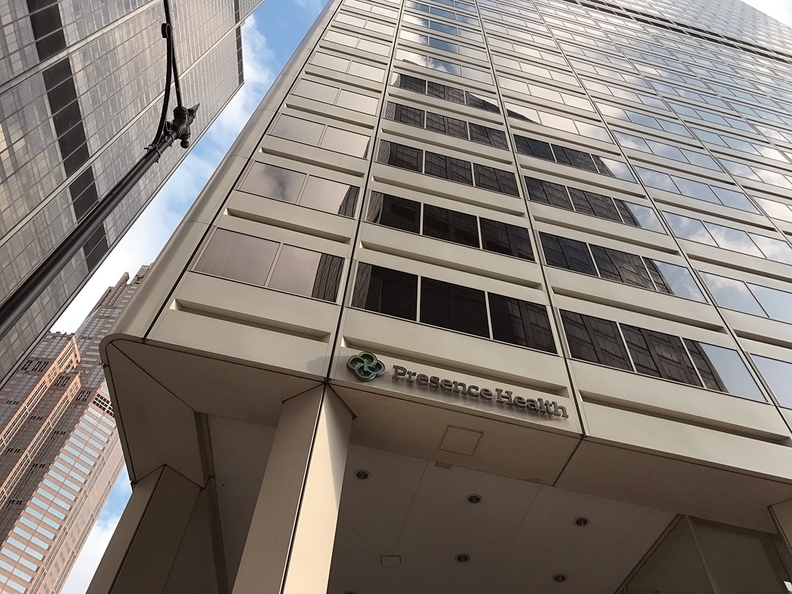 Presence, which has more than 150 locations in Illinois including 10 hospitals, said that approximately 1,000 of its employees would transition to R1 under the deal. Presence spokesman Robert Scarola referred questions to R1. Gary Long, R1's chief commercial officer, said details such as where those employees will be located after the transition and whether their jobs or salaries will change have not yet been finalized. He also declined to say whether the partnership would ultimately result in layoffs at Presence. Long said the two companies have been discussing the partnership since 2016. They have since signed a non-binding letter of intent, and expect to officially launch the partnership in the second quarter of 2018. R1 will provide services across Presence's hospitals and physician care settings. The partnership does not include Presence's senior care operations. Presence is in the final stages of being acquired by Ascension, which already uses R1, formerly known as Accretive Health, for its revenue-cycle management. Ascension and the private equity firm TowerBrook Capital Partners bought a 40% stake in R1. Long said that existing relationship "probably hasn't hurt our ability to work more closely with Presence, but it wasn't necessarily a pre-condition of the opportunity." Presence's announcement follows a similar move by Salt Lake City-based Intermountain Healthcare, which last month said R1 will handle its revenue-cycle operations. Under that deal, Intermountain said it will move 2,300 of its nonclinical employees such as registration clerks, billing specialists and scheduling staff, to R1, a change that's expected to save the system $70 million over the next three years. Intermountain said last month that those employees will work the same jobs for the same pay and, in most cases, at the same location. Neither Intermountain nor RI said whether the deal would eventually result in layoffs, however. Nicholas Fricano, the CEO of the vendor management company Healthfuse, said when health systems outsource their revenue-cycle operations, their existing revenue-cycle employees initially tend to work in the same locations and positions, they just receive a paycheck from the vendor instead of the health system. Over time, though, as vendors look to cut costs, they often trim employees and shift those tasks to service centers. The moves by Presence and Intermountain come as hospitals around the country work to trim their growing expenses, especially around labor. Having a solid revenue-cycle management platform has become increasingly important as a growing proportion of health systems find that their patients are paying for their own care. In fact, a recent study by Research and Markets found that the demand for revenue-cycle management products will exceed $90 billion by 2022, compared with about $51 billion last year. Many people are enrolling in less expensive high-deductible health plans, which place members on the hook for much of their medical care, at least until they meet their deductibles. Some health systems have multiple vendors handling various points within their revenue-cycle operations, such as coding and patient registration, said Brian Brownschidle, an executive director at XMS Capital Partners. He thinks the trend will be toward systems working with companies like R1 that handle all aspects of revenue cycle. "I think frankly for a lot of health systems, there's a little bit of vendor fatigue around having individual point solutions to all those pieces," he said. As the revenue cycle has grown more complex, a number of vendors have cropped up that address single points along the way, Long said. "But more and more, it's companies like R1 that are able to solve the entirety of the revenue cycle and help these health systems really address and transform their revenue-cycle operations," he said. But Fricano cautioned that agreements between health systems and vendors should contain clear goals, benchmarks and the ability to track those quantitatively. He's seen partnerships that did not yield better results or savings when those elements weren't in place. He said it's important that health systems retain the ability to monitor collections and reimbursement. In a statement, Presence CEO Michael Englehart wrote that R1 has a record of delivering on its commitments. "Its reputation for closely working with its customers as a true partner is highly regarded," he said.